Football fans are always inclined to think that the club they support is special in some way. For a long time, Manchester United fans would point to the years of uninterrupted managerial service that Sir Alex Ferguson gave, citing the fact that he was given time when other clubs would have long since sacked him. How they scoffed at Manchester City for their managerial merry-go-round. But since Sir Alex retired in 2013, United have had three permanent managers, so that particular bragging right is long lost. There is, though, an area where United fans can claim to be a bit different from the norm. The songbook from which the Stretford End, the Singing Section and the ultra-vocal away support sing is one of the most varied and original in the game. Whether it can survive the homogenising effect of globalisation remains to be seen, but for now, it is still one of the best. A huge part of that is the array of songs for former players that get broken out—usually, but not exclusively, when United are winning during the second half of games. There are plenty of chants about the club's success or ones aimed at Liverpool, Manchester City and Leeds United (AND LEEDS! ), but remembrances of players past are an important part of the repertoire. Let's take a look at some of the more popular chants. Where possible, the words to the chant will be included in full, but the tendency for strong language to form part of them will mean some paraphrasing will have to take place—those will be denoted with square brackets. 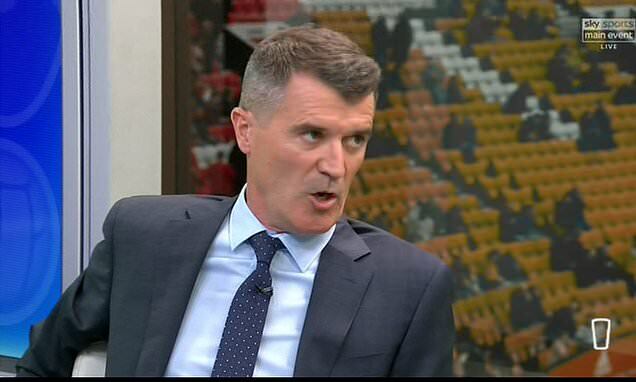 It would be a disgrace if United fans did not regularly sing Roy Keane's name. A bona fide club legend, Keane captained the side to the treble—though he missed the final of the Champions League through yellow-card accumulation. Incidentally, participation in the treble season is something of a feature among the former players whose names gets chanted most often, but in Keane's case, his contribution went far beyond that. He was Sir Alex's on-pitch alter ego, always giving his all, always possessed by an apparently preternatural will to win. Keano's [absolutely] magic, he wears a magic hat. He didn't sign for Arsenal or Blackburn 'cos they're [not very good]. He signed for Man United 'cos we're [very] dynamite. It is a song with a little folklore included. When Keane left Nottingham Forest, Kenny Dalglish's Blackburn Rovers were set to be his destination, but at the last minute, Ferguson intervened. In the end, as the song goes, he signed for United, and the rest was history. Rumours that J.K. Rowling got her inspiration for the Sorting Hat that decides which house the pupils of Hogwarts belong in from this song are unproven—mostly because no one has ever said that before now. That Jaap Stam's chant is still being sung is something of an oddity. After all, there are plenty of great United centre-backs who spent longer at the club, some of whom can match the brilliant Dutchman for ability. Perhaps it was his iconic look—the caricature of an intimidating centre-back. Perhaps it was the frustration that Sir Alex sold him long before he should have done and did not adequately replace him until the arrival of Nemanja Vidic in 2006. Perhaps it is just because his song is fun to sing. Whatever the reason, the treble-winning defender's name regularly rings out from the Stretford End. Yip Jaap Stam is a big Dutchman. Get past him if you [think you] can. Try a little trick, and he'll make you look [silly]. In honour of Eric Cantona, Leeds United fans chanted "Ooh! Ahh! Cantona, say Ooh! Ah! Cantona!" in a tuneless, rhythmic fashion. Manchester United fans took those lyrics, added others and set them to "La Marseillaise," the French national anthem. However, a more elaborate and, frankly, tricky chant for one of United's most beloved players also exists, and it also gets regular airings. To Eric the king, the king, the king. He's the leader of our football team. He's the greatest French footballer [sometimes replaced with centre-forward] that the world has ever seen. Technically, this is the chorus of a song with several verses. But, for the most part, they do not get sung. The real problem with this chant is its extended introduction. "We'll" is sung for several full breaths as—in a pub setting—glasses are raised to the sky. What the chant really needs is admin. Someone needs to count in the end of the long "we'll" and the beginning of "drink a drink," but that never happens, so it always takes a while for people to get in sync. Still, once it gets going, it is a cracking chant and one of many reasons Cantona's achievements will always be celebrated at Old Trafford. Gary Neville is a red; he hates Scousers. The song is imbued with the sense that Neville was one of us, raised on the Old Trafford terraces during Liverpool's golden age of success. He was the embodiment of the dream of every young fan who imagined what it would be like if United replaced their rivals at the top of the pile. Neville seemed to milk every second of it. He really was a red. The hardest man in all the town. Come and have a go if you dare! The Stretford End repurposed Jim Croce's "Bad Bad Leroy Brown" in tribute to another homegrown defender who played at right-back for the club during a Champions League final. Wes Brown won the trophy in 2008, and but for the injuries that plagued his United career, he could have been one of the club's great defenders. This chant is so good Sunderland fans adopted it when the player moved to the Black Cats in 2011. His departure has not stopped United fans singing his praises. There is plenty of love for Brown expressed wherever Red Devils gather. Going on up to the spirit in the sky. That's where I'm gonna go, when I die. I'm gonna go [for a drink] with Georgie Best. Even before the popularity of this chant, though, Best was honoured with the old "Yellow Submarine"-inspired classic, "We all live in a Georgie Best world," which runs through every number in the team with Best's name—"No. 1 is Georgie Best, and No. 2 is Georgie Best," etc. Some fans of a certain age will still sing "No. 7 is Bryan Robson" in the midst of that—a tribute to just how special Robson was when he wore that number. But it is Best's song, sung in honour of one of United's all-time greats. There are many more chants that deserve a mention here—such as ones for Ole Gunnar Solskjaer, Ryan Giggs, Paul Scholes, Andy Cole, Nemanja Vidic and John O'Shea to name a few. Then there are chants no longer sung as often that nonetheless have their place in history—"Skip to my Lou Macari," for example. The United songbook is one of the club's richest legacies, a reminder of the great players who have passed through the club and brought it so much success.